Robert “Bob” Lloyd DePratu, 74, passed away on Friday, Jan. 31, 2014, at North Valley Hospital in Whitefish with his family by his side. He was born July 21, 1939, in Eureka to Lloyd Arthur and Helen Effie (Nellis) DePratu. Bob received his early education in Rexford and Eureka, graduating from Lincoln County High School in 1957. As a youngster he learned the value of hard work. While in school he delivered groceries, ran a hay crew and worked for Valcor Logging. He then attended Kinman Business University and graduated in 1959 with an associate degree in accounting. After graduation, Bob worked for Rygg Ford, selling cars in Whitefish. Bob married Beatrice “Bea” Ann Rogers in Eureka in 1959, and together they raised three children. In 1964 he purchased DePratu Ford, and in 1984 he added VW and Audi. Bob continued operating it with his family until his death. Bob had a very full civic and business life as well as a political career. His businesses included the View Mount Motel, Budget Rent A Car, Clean Kars, Inc. and Triple B Enterprises, a real estate holding company. In 1996, Bob was elected to the Montana State Senate and was later appointed to the chairmanship of the Jobs and Income Select Committee. He was re-elected in 2000 and served on the Committee of Public Health and Welfare, Highway Transportation and the Safety and Taxation committees. Bob was extremely busy civically. As early as 1959, he began serving the Whitefish community as a member of the Jaycees. 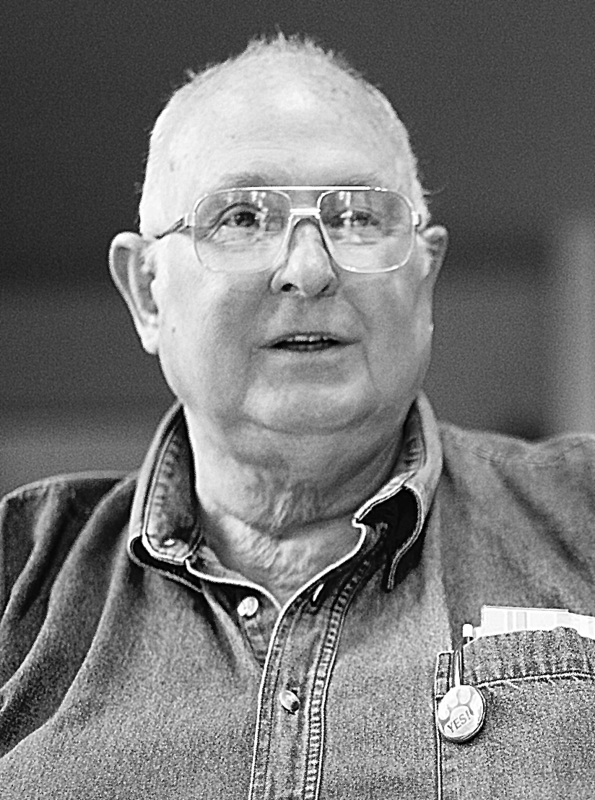 He was a member of the Whitefish Chamber of Commerce, Whitefish Rotary, the Montana Auto Dealers Association as a member, president and chairman, Big Sky Life Insurance board member, First Interstate Bank board member, and he served on the board of directors of the Flathead Business and Industry Committee. Bob was a member of the Ford Motor Company National Dealer Council and was appointed to the Ford Motor Company Consumer Resolution Board. He was a Whitefish Hospital board member and in 1968 began volunteering with the Whitefish Volunteer Fire Department, where he served 20 years with the fire department and ambulance. During this time he spent five years on the board, two years as president, and two years as fire chief. In 2012 Bob received the Whitefish Chamber’s esteemed Great Whitefish Award that honors one person’s lifetime contribution to the community. Bob was also an active member of the Church of Jesus Christ of Latter-day Saints and served on many boards and committees. Bob was preceded in death by his parents, an infant sister, Yvonne Mae DePratu, and a grandson, Ryan Robert DePratu. He is survived by his wife of 54 years, Bea DePratu; two sons: Bret (LeeZann) DePratu of Vaughn; Bart DePratu of Whitefish; and a daughter: Brenda (Sidney) Chapman of Columbia Falls; a sister: Delila Webster of Gardendale, Ala.; six grandchildren: Alison (Justin) Brandt, Christopher and Tyler DePratu, Shasta (Shane) Dean, Carson DePratu and Amanda Chapman; four great grandchildren with a fifth due in July; a 95-year-old aunt, Erma Nellis Stinson; an 89-year-old uncle, Cecil DePratu, and numerous nieces and nephews. Funeral services are Thursday, Feb. 6, 2014, at 11 a.m. at the Emergency Services Center (Whitefish Fire Hall) at 275 Flathead Ave. in Whitefish, with Bishop Joel Stephenson officiating. Burial will follow at Glacier Memorial Gardens. Visitation will be at Austin Funeral Home on Wednesday, Feb. 5, from 4 p.m. to 8 p.m. The family suggests that memorial gifts be given to Shepherd’s Hand: 5150 River Lakes Parkway, Whitefish, MT 59937 or North Valley Food Bank: 251 Flathead Ave., Whitefish, MT 59937. Austin Funeral Home is caring for Bob’s family. You are invited to http://www.austinfh.com to view Bob’s tribute wall, offer condolences and share memories.